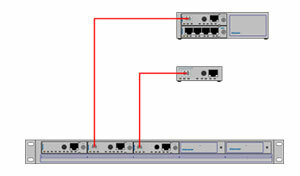 Learn how to use media converters to implement and optimize fiber links in Enterprise networks. This white paper provides an overview of media conversion technology with application examples describing the wide variety of fiber network connectivity solutions achieved with media converters. This video examines how media converters provide flexible and cost-effective fiber connectivity. Receive an overview of the different types of media converters available today and understand the variety tools available in the Swiss army knife of fiber connectivity. This video is approved to provide one BICSI Continuing Education Credit for RCDD, RITP, NTS, Installer 2 Copper/Fiber, Technician and Certified Trainer. Complete the form to the right to download these visio stencils.